When President Obama rewrote inconvenient parts of his very own Obamacare law, he undermined more than health care. The attitude of “we can do what we want” trickles down to the lowliest federal agencies. That’s what several federal judges are saying about the schemes of the Bureau of Alcohol, Tobacco, Firearms and Explosives (ATF). 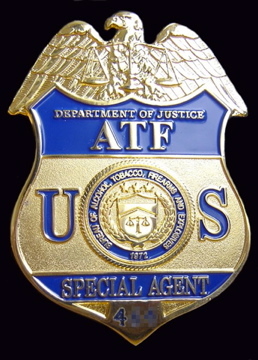 The ATF is the Rodney Dangerfield of law enforcement; among its peers it “don’t get no respect.” So the agency devises creative ways of proving itself, if only to itself. For example, ATF agents posing as cocaine couriers in poverty-stricken neighborhoods of Los Angeles boasted of big plans to steal the narcotics they were supposed to deliver. They did this to goad “small-time crooks” into joining a high stakes fake “stash house” raid to obtain fake cocaine. The hoods would then be arrested.